I get a lot of questions related to my Carpet Cleaning with OxiClean method and my Carpet Cleaning with Young Living Thieves Cleaner method. I figured I would answer them all in one spot for you today. When I am cleaning my carpet, do I stop when the water is clear? No! Oh my goodness, I don’t think I could ever get completely clear water in a home carpet cleaner. Stop when the floor looks clean. If you want it clean until the water comes back clear, you’ll need to hire someone. I suggest Master Cleaners. What does it mean when you say “rinse the carpet”? Rinse simply means you are using your carpet cleaner with water only, no soap. Just don’t add anything to the cleaning tank. Just water. I use tea tree oil in my rinse because it makes the carpet smell nice and disinfects. Can I use OxiClean in a rented carpet shampooer? Your rental agreement likely says you cannot. I am not going to tell you to do it because I never have. The rental machines state you can only use their product. I have used them before with their product. Buy the pet version, it is better. And follow my same steps or washing, scrubbing, and rinsing. If you want to use OxiClean, buy your own machine. It will still void the warranty, but you won’t be potentially messing up a rental. As for the long term effects on OxiClean on my machine. It creates more residue than the cleaners suggested by the manufacturers. The rinse cycle does help clean some of that out. But you’ll notice white powder residue in several places on my machine. So far, in the years I have been using OxiClean in my machine, it hasn’t killed it. But I’m not sure I’d risk it on someone else’s machine without their permission. Can I use Thieves Cleaner in a carpet shampooer? Yes, you can! I wrote about that here. It doesn’t clean as deeply, but it leaves the carpet pretty darn clean and soft! Try it. But yeah, it is still going to void the warranty on your machine, so make sure you are okay with that. Can I use bleach in my carpet cleaner? No. I have tried. Don’t do it. And I’ll just go ahead and address the next question. Don’t use peroxide either. I’ve tried that, too. Bleach will unevenly bleach your carpet. It looks bad. Peroxide will turn it orange in spots. It looks bad. So don’t do either of those things. Seriously. Dawn dish detergent: way too foamy. You can barely keep the machine going with all the foam. It takes forever to rinse all the suds out. Definitely not the trick I was hoping for. Laundry Detergent: It cleans clothes, carpet seemed logical. While it smelled amazing, it was too sudsy and too slippery and just didn’t deep clean all that well. It took a few tries to get the amount right, and then it just didn’t clean any better than straight water. Fabric Softener: I know. I was going for a good smelling carpet. It wasn’t the best. You have to use very little to not end up with a blue hue and then it doesn’t do much. Carpets shouldn’t be that soft. It is more creepy than cozy. Lysol: I was attempting to disinfect my carpets post tummy bug. It did nothing. Skip this and use cinnamon oil or tea tree oil or Thieves Cleaner instead. Febreeze: Again, I wanted the carpets to smell good. Just spray it on your carpet. It was way overkill and didn’t clean or do much of anything. Tea Tree Oil works so much better on fixing carpet stink. Essential Oils: These are great. They work. They help with smell. They don’t stain, someone asked me that. They could potentially break down the plastic of the carpet cleaner, but I haven’t had issues. I also put them on my vacuum bag. I’ve tried many, but tea tree oil and cinnamon bark are my favorites for carpet cleaning. You can try others. I’ve done orange, lemon, fir, frankincense, lavender, and a few others. I still prefer tea tree or cinnamon. Will you come clean my carpets? No. I am not a professional cleaning service. See my recommendation above for Master Cleaners. Did I miss your question? Feel free to ask in the comments. This post contains some affiliate links. By now, you’ve certainly heard about essential oils. You’ve likely got a friend or two (or five) that rave about them on social media daily. You may be wondering if they’re up to all the hype (depends on what you’ve heard). You may be wanting to check them out yourself. But where to even begin? There are really two ways to begin this journey. You can buy one or two oils at a time and ease in gently. Or you can buy a handful of oils and jump in both feet first. There are pros and cons to each way and neither is really right for everyone. Easing in- You’ll buy one or two oils and slowly start building your collection. You’ll likely want to start with lavender, lemon, or peppermint. Those are the common oils that can treat a whole slew of maladies and complaints. Rub lavender on boo-boos. Use peppermint for heartburn or as a pick me up. Use lemon to clean, kill offensive odors, or help wake you up in the morning. You’ll find dozens of uses for the basic oils. Jumping In- This is how many people prefer to go about it. You can usually buy a starter kit that makes the overall “deal” better than wading in slowly. For example, a Young Living Premium Kit contains 11 oils plus a diffuser and some samples for $150 (plus tax and shipping). My DoTerra Family Physician Kit contained 11 oils for $150. If this doesn’t seem like a deal to you, know that lavender, lemon, and peppermint oil alone from either company would be over $50. So, you get more bang for your buck. There are pros and cons to this way, too. You’ll be putting more money in up front. And say, you wanted an oil for thyroid function, well, that isn’t in the kit. You’ll have to add that to your collection. The kits generally contain basic, widely used, oils. Oils for relaxation, immune boosting, boo-boos, skin care, coughs, etc. They aren’t going to have the more specific oils like myrtle, helichrysum, ocotea, myrrh, etc. You will build the habit of using oil when you have this many, though. You’ll find ways to use it. You’ll likely find you have an oil on hand for most things you find you need. And in some cases, you’ll also have a diffuser to diffuse oils, which is an awesome way to use them. 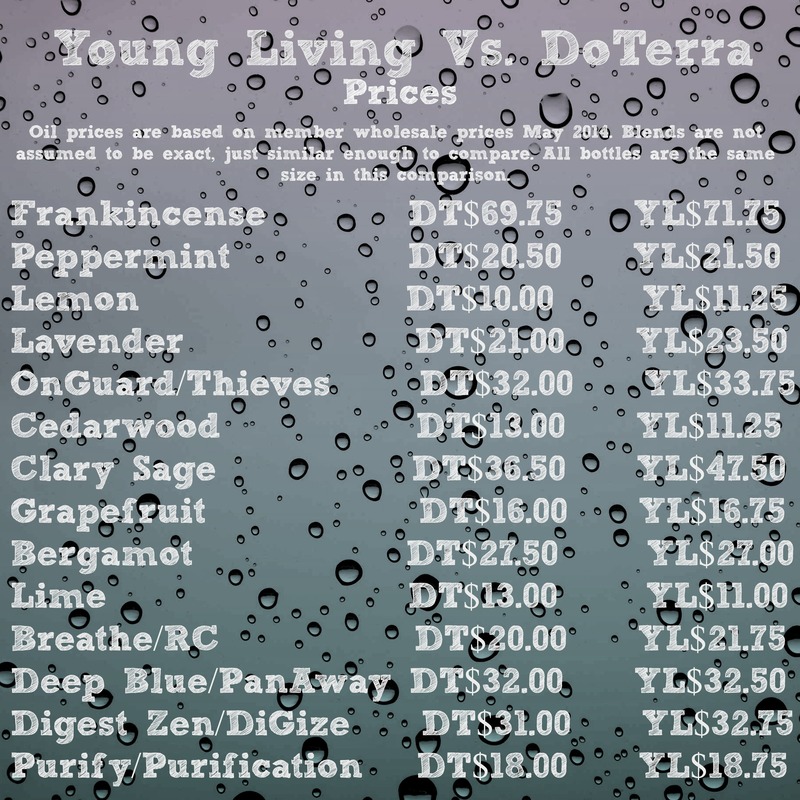 (You can also buy essential oil diffusers on Puritan’s Pride and Amazon for relatively low prices.) But the initial cost is going to be more. For some people, that means they’ll actually make themselves use it. For others, they don’t want that much money investing in something they aren’t sure they’ll enjoy. So which oils should I try? Lavender is the most common, basic oil to have on hand. It is especially good when you’ve got kids, since it is a good first aid oil. It can be used on cuts, scrapes, bruises, burns, stings, and more. Some people (The Pastor included) report it helping reduce allergy symptoms. It is also calming, helping you relax and sleep. Lemon oil is also very common. It can be used in cleaning, both your house and yourself. It makes your house smell clean. It uplifts your mood and helps you focus. It is great to use in the morning to help wake you up. (This really goes for all citrus oils. They just smell so uplifting. It is a great scent to start the day.) Can be used to help smooth the skin on your feet. It can also help in the dishwasher for those with hard water. You’ll find so many uses for lemon oil. Peppermint oil is very common with many uses. Of course, you know it will freshen your breathe. The smell can also help uplift you and help with nausea. Peppermint is also good for heartburn. Many people use lemon and peppermint together to help them on their weight loss journey. Peppermint is also of great help for people with headaches. Use it to help keep you awake and alert. Melaleuca (Tea Tree Oil) is also a great starter oil. You’ll want to be cautious with this one with pregnant women. (Well, you always want to be cautious with pregnant women and kids. Check oil safety and dilute them!) It is great for cleaning! Use it in your steam cleaner, mop water, counter spray. You can use it on your pets (and sometimes kids) for lice, fleas, and ticks. It is also a good oil for fungus and parasites, like yeast and ringworm. It is also great for skin issues like razor burns, athlete’s foot, and other skin conditions. You’ll find so many ways to use it. There are several different varieties of melaleuca. Melaleuca Alternifolia is the common “tea tree oil” variety. Other varieties may be milder or better for specific issues. Frankincense is another common oil that is all the rage. You may be curious about this one, since it was a gift for the baby Jesus and all. And most people aren’t really sure what on earth frankincense is even good for, or what it smells like. It is great skin care. I personally use it in my hand cream. It has healing properties and kills germies. It is calming, and meditative. It can help reduce the appearance of scars. Seriously, skin LOVES frankincense. It helps with anxiety, stress, sadness, and moodiness. It helps boost your immune system. It soothes itchy skin. It can help back and joint discomfort. This oil is so soothing. You can use it on scrapes, and I do, especially if they are on the face. There are also lots of stories about frankincense being used by those with cancer. You’ll have to search for those personal stories, since I have none personally to share. Those are the most common oils. There are others than many would argue are more important than those above, like thyme (great for congestion), eucalyptus (there are several varieties), oregano, patchouli (a personal favorite), valerian, tangerine, orange, lime (another personal favorite, dubbed “happiness in a bottle” by me), cedarwood, copaiba (there is a Wild Kratts episode about Orangutans that talks about copaiba). The lists just go on. 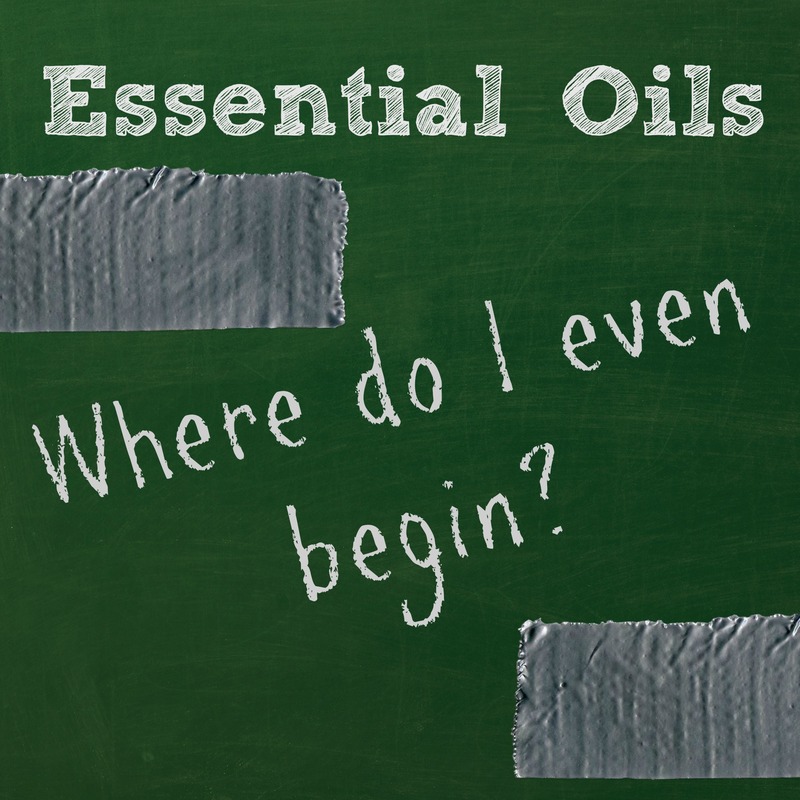 Really, any essential oil is going to have its great uses and its own cautions. What becomes your household favorite remains to be seen. Then there are blends by various brands for anxiety, stress, depression, energy, grounding, etc. I found the Young Living blend Joy is one of my favorites. Right now, I’m also digging Gentle Babies by Young Living. I loved DoTerra’s InTune blend, as well as their Balance and Slim & Sassy blends. What essential oils are not. Essential oils are not going to make you loose weight while you eat cheeseburgers on your couch. They can help you crave more wholesome foods and help give you the energy to get started on that work out plan you’ve been saying you’re going to start. They aren’t going to make up for years of bad decisions. They’ll help balance you. They’ll help with your symptoms. They’ll help get you on the road to better health. But they aren’t going to erase years of damage overnight. They are not the be all and end all. There are other things you need for your health. Essential oils are one preparation of something. You might need something different for different issues. You may find dandelion tea is much better for your water retention than lemon essential oil. Essential oils are just part of a healthy lifestyle. They’re not the whole thing. We still use herbs, tinctures, teas, vitamins, food, and when needed, pharmacologicals in my house. Things have their place. They are not a scam. Essential oils have worked for centuries. Just because we in the west have forgotten does not mean they aren’t valid and useful. Sure, some oil quality is better than others. You’ll find a slew of info floating around the internet about various oil quality issues. But they do work. They’re not going to be a miracle cure for every ailment. But they can help alleviate some of your discomfort and address many of your issues. How not to use essential oils. One drop is good, so ten drops is better, right? NO! Wrong! Less is more when it comes to essential oils. Essential oils are highly concentrated. And yes, some oils are such quality that you will have to use more, but you work up to that. A single drop of oil on a boo-boo is all you generally need. 4-5 drops of oil in a diffuser is usually plenty. You don’t have to douse yourself in it for it to work. You can use too much. Dilution makes it weak, right? Wrong! Dilute 2 drops of essential oil in 2 drops of vegetable oil and you still have 2 drops of oil. Sometimes dilution HELPS the oil work. It helps it absorb slower, which is a good thing. It can help your skin absorb the oil better. It can add soothing properties to your oil. Always dilute with kids. Always dilute if you’re not sure about dilution. If an oil isn’t working the way you want, don’t add more oil, dilute the oil and see how it helps. You might be surprised. How do I even use essential oils? There are several ways to use essential oils. You can diffuse them. A machine puts the tiny oil droplets into the air where you will breathe them in and enjoy their scent. Diffusing is great for many oils and many issues. You can rub them onto your skin. Some oils need to be diluted (see above). You can rub them onto the troubling spot, be it a sore neck, upset tummy, scraped knee, etc. You can rub them on your feet (this is an especially good option for kids). You can look at a reflexology chart and see where on the bottoms of your feet corresponds with which body system. You can add them to your homemade cleaning products and personal care products. (That links to some recipes I posted.) Some people ingest them, adding them either to water, milk, or empty gelatin capsules. (You want to research that option fully and make sure the oil you purchase is a quality that is edible. I wouldn’t ingest any oil from a company that says not to.) You can add a drop to a damp cloth and place on a sore muscle or over your chest. You can place a drop or two in warm water and cover your head with a towel to inhale. You can add a drop or two to your scarf, to smell while you’re out and about. (I especially like to do this with mood uplifting oils.) You can put a drop in your hands, rub your hands together, and inhale from your cupped hands. How do I decide who to purchase oil from? I used essential oils from the natural food store for years. I used their tea tree oil in my carpets and for my kids who just had a diaper rash his entire time in diapers. I used their eucalyptus oil to make shower soothers when I had a cold. (15 drops of their oil on a wet wash cloth in the bottom of the shower.) I’d add a couple drops of their thyme to the kid’s bath water when they were snotty. I was fairly happy with it. I didn’t always get the results I wanted, particularly from their lavender, but overall, I was pretty content. The Pastor used their patchouli for cologne for quite some time. You may find yourself happy with these brands, too. You may find that they are enough for you. That you don’t mind 15 drops of eucalyptus for your cold to be too much. You don’t mind the carpets getting cleaned with their tea tree oil. You’ll likely find the lavender doesn’t do anything people say lavender does, but it’ll smell nice at least. You may decide you want to buy in bulk from a company like Liberty Natural Products. Their prices are extremely low and you can buy a lot of oil! Think of the oil you could split in a co-op! My midwife recommends this company. I haven’t had an opportunity to try them yet. They also have various bottles and containers you can purchase for your oil concoctions. You may decide you want to try one of the current big two: Young Living or DoTerra. They are MLM set up, but both offer wholesale membership instead of insisting on you being a distributor. The ordering is a bit more complicated. You’ll have to do things like give them your social security number (for taxes, since you have the potential of being paid by the company). They both now have pretty minimum order limits per year to maintain your “membership” or distributor status. They get all complicated with the MLM set up. But the oil quality is really there. (I personally found Young Living to be slightly better than DoTerra for my needs.) Both have great kit set ups if you want to go the “jump in” route. But both are MLMs, and that turns a lot of people off. Just know, you’ll be personally giving part of the money from your kit to your distributor, if that makes you feel better about your initial purchase. (I personally get about $50 from every $150 kit that someone buys with my member number 1650325. Just to give you an idea of how much of your purchase is going to help a family out.) I found this to be a great way for me to go, especially for the kits, but know it isn’t really for everyone. I have started making more and more for our home. It seems like every week there is a new report coming out about which chemical in what product to be on the look out for and avoid. It is getting where buying shampoo is a major label reading hassle. So what is a mom to do? Well, start making stuff yourself. You know what you put in your lotion. Plus you’ll save a ton of money! 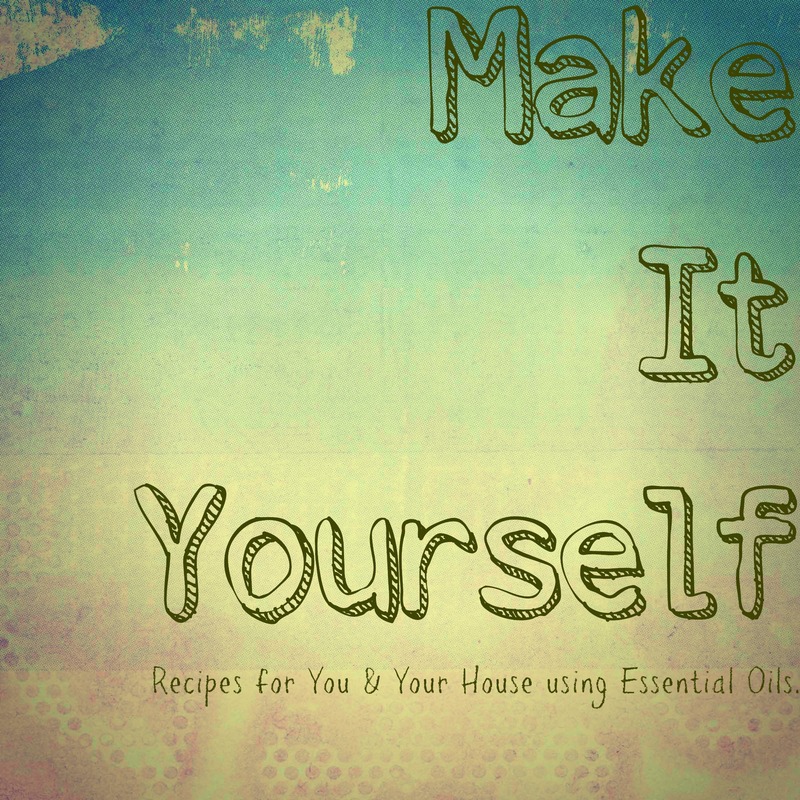 So, here are some of my recipes for things you can make yourself for your house and your family. Before I begin, a note about essential oils. I list suggested oils, but you can really use any oil you choose. If you choose a lower quality oil, know that you’ll need to AT LEAST double the number of drops of oil. That is one big reason I buy higher quality oils. I noticed that with cheap eucalyptus oil, I was using 20 drops to make a decent shower steam. (Drop the oil on a washcloth and drop in the shower. Great when you have a cold.) With higher quality oils, I need maybe 5 drops. That is a big difference and certainly makes up for the higher cost of better oils. If you’re making things for your kids and they are under 5, you’ll need to be aware that there are some oils you shouldn’t use on them. (Eucalyptus and wintergreen come to mind. You’ll want to research this yourself and determine which oils fit your comfort level.) Also, if you are pregnant, there are certain oils you should avoid. There are a bazillion articles and pins out there, you just have to determine your personal comfort level. An oil to avoid could mean you don’t open the bottle at all. Or it could mean you just don’t rub it on yourself directly. Or it could mean you simply use it in moderation and don’t ingest it. I’m not going to tell you what to do, since I am neither an aromatherapist or your medical provider. Just be aware that essential oils have therapeutic effects, even if you aren’t using them for that reason. All the blends I mention are Young Living blends, since that is what I use. On the shelf, traditional deodorant (and antiperspirant) really creeps me out. There is just something weird about making yourself not do something you are biologically designed to do. So, I’ve been looking for alternatives for years. I finally settled on this recipe, which is a deodorant only. Add 20-30 drops of essential oil. I think Joy (a Young Living Blend) is my favorite. Right now, we have Patchouli, which is also a nice smell. Light scented oils (like bergamot) just don’t work as well, since you really do want it to smell a little. That’s it. Put the lid on, shake it up, spray it on. I use 2-3 sprays per arm. The Pastor uses like 5-7. Put one squirt of castile soap into a spray bottle. Add 20 drops of essential oil. Fill the rest of the way with water. Give it a shake before use. My personal oils picks for this are cinnamon bark and spearmint. It smells like Big Red gum. Cinnamon bark kills almost anything. (The FDA won’t let me tell you any specifics, but the studies are available should you choose to look.) I use this spray on my counters and my tables. I do 18 drops of cinnamon bark and 2 drops of spearmint. Other oils that would be good to use are tea tree oil (melaleuca), lemon, Thieves, purification, lemongrass, orange, lime- the list really goes on. I hate using chemicals on my floors. Dogs, crawling babies, kids wallowing- I just don’t want everyone covered in chemicals! So, I have gone super simple in my mopping. I use this solution in my steam mop, but you can use it with a traditional mop, as well. 12 oz. hot water with 5 drops cinnamon bark oil. That is it. That is how I clean my entire floor. In my steam mop, I don’t have to heat the water, since it does it. But that is it. It smells amazing. My floors are clean and not sticky. I use it on vinyl flooring (fake linoleum), wood flooring, and ceramic tile flooring. It works beautifully. I feel like I spend a ridiculous amount of money on salves and creams for hands, especially in the winter. I finally decided to make something myself. You’ll need to whip (with you hand or stand mixer) 4 oz. shea butter, 2 T coconut oil, and 30 drops of essential oil. Whip it to get it all mixed up. Put it in a container. You have hand cream. You can add more coconut oil, which has awesome healing properties, but it will make it a little more greasy, which will just require you to rub it in a little better. For the oil, since the shea butter already smells kind of woodsy, I went with that instead of trying to fight that smell. I did half frankincense and half cedarwood. You could also do something calming like lavender. I was a little nervous about making my own lip balm, but it turned out pretty simple. I put a small metal bowl over a pan of boiling water to melt my ingredients. I used half bees wax and half coconut oil. Melt these together, remove from the heat, and stir in 10-20 drops of essential oil. Pour into lip balm pots or tubes. If you’re using plastic pots or tubes, don’t use citrus oils. They can break down the plastic. You can use lavender, Stress Away, peppermint, spearmint, birch- whatever you want, really. The Pastor says this lip balm is better than Burt’s Bees. Soaking in a warm tub of essential oil infused water is a little bit of heaven. Make them for gifts or just for yourself (or even your kids). Put all that in a bowl and smash it together with the back of a spoon. Pour it into a jar and put the lid on it for storage. You can make this when your family has a cold. Use eucalyptus (on older folks, myrtle for younger ones), thyme, lemon, or Thieves (or a combination) for a nice comforting soak. You can make this just to relax. Use Peace and Calming (a personal favorite soak), Stress Away, Lavender, or Cedarwood. You can make it smell like Christmas. You can make it whatever you’d like. Mix it up. Try Orange and Lemon. Patchouli and Ginger. Peppermint and Citrus for a wake up bath. Make it your own. I use about 2 T of the mixture in each bath. You could use more or less, it is up to you. Similar to the deodorant recipe, but for use as body spray. Fill a 4 oz spray bottle with vodka and add 15 drops of essential oil. You can add more oil as you wish, if you want a stronger smell. These also make great gifts. Like Bath and Body Works minus the chemicals. Oil choices are really up to you. Stress Away, Lavender, Eucalyptus, Orange, Tangerine, Ylang Ylang, Joy, Geranium, Goldenrod, Patchouli- really anything will work. What do you want to smell like? Making the oil into a body spray also makes the scent last longer. It distributes it further and isn’t quickly absorbed by your skin. Mix it all in a spray bottle. Spray on to repel bugs. You’ll need to choose bug repelling specific oils. Purification is what I used all summer. It had all the anti-bug oils mixed right in. If you make your own blend, look to use citronella, lemongrass, rosemary, lavandin, myrtle, tea tree oil, and maybe even some peppermint. Other companies also make bug repelling blends you can try. I don’t like using chemicals on my garden. My kids are known to eat the tomatoes straight off the vine. I don’t want to have to worry about them not washing the chemicals off the food we grow here. So, I made my own garden spray this past summer to keep the bugs away. You’ll need to spray at least 3 times a week, more often at times. But that is also a good kid job. Add a squirt of castle soap to a spray bottle. Add 15-20 drops of peppermint oil. Fill the bottle the rest of the way with water. You could also add 15 drops of Purification oil, if the peppermint alone doesn’t seem to cover all the bad bugs in your garden. We had aphids and spiders, so the peppermint alone was perfect. I initially made this spray for The Pastor when he was playing on a church basketball team. Then I found that I loved it post run, too. So we kept making it for post-exercise relief. 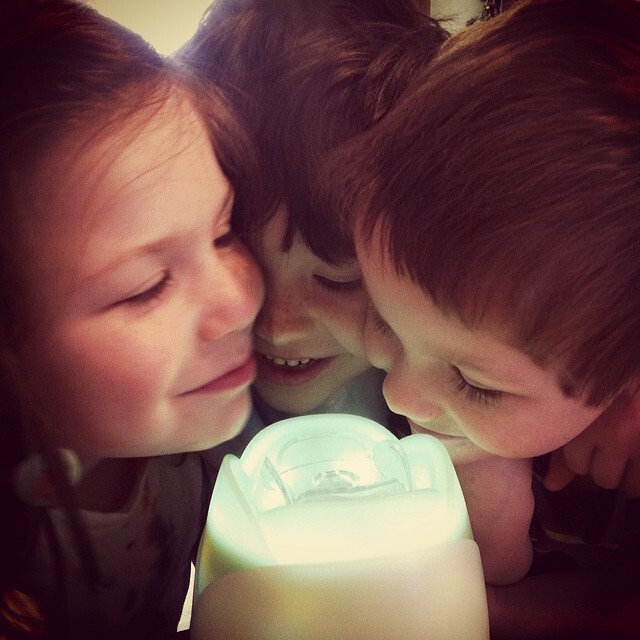 The kids then started using it on super hot days during the summer because they said it kept them cool. Put it all in a spray bottle. When the kids started using it, I cut the vodka in half and added 6 oz. more water. I didn’t want them spraying it in their eyes, but they really can’t be trusted. You can also try it with any mint, lavender, helichrysum, geranium, etc. The mint helps with cooling. Then you’ll want something for inflammation (lavender, helichrysum, geranium). The PanAway has all of that already in the bottle. DoTerra’s version is Deep Blue. I’ve tried this a few ways and have found the way I prefer. So, that is what I am giving you. I usually use lemon oil. I have also used Purification, lime, orange, and Citrus Fresh. You just want something bright and clean smelling. You can really use anything you want. I like using something that kills germs. I make my own laundry detergent, but that really isn’t the best place in the process to add oils. You really want to add the oil at the end of the wash and dry process if you hope to smell it at all. Laundry Detergent- Grate about 12 oz. of soap. (We use the regular bar soap we buy. I knew my kids weren’t sensitive to it, so it made sense. You can also use laundry soap like Fels Naptha or Zote. I really think any soap will work.) In a large pot, melt the grated soap in boiling water. Pour into a 5 gallon bucket once the soap is all melted. Add 1 cup borax powder and 1 cup washing powder. Mix well. Fill the bucket the rest of the way with water. Put the lid on the bucket. Let it sit for at least 8 hours before use. We fill an old laundry detergent container with the liquid detergent to make it easier to use. I just know I’d spill that 5 gallon bucket if I had to open it all the time. I use half to 3/4 cup (the little cup on the old detergent bottle) of the liquid per load of laundry. Some people prefer to fill the detergent container half full of detergent and half with water to dilute it and then use a full cup. Dryer Oil- After your clothes have dried, put 2-5 drops of oil onto a washcloth (you can reuse the same cloth each time) and toss into the dryer with you clothes and tumble for a few minutes on low heat. If you heat the oil, it is going to disappear. You want the heat on low. Another option for making your clothes smell nice and like oil is to make your own linen spray. You can spritz it on clothes before ironing or you can spritz it on your bed when you make your bed. Just make sure to do it enough in advance so your pillow isn’t wet when you lay your head on it. I have used essential oils for several years, but the ones I purchased at the health stores just never did quite what they promised. Eucalyptus to open sinuses required me to liberally pour 20 or more drops of the stuff out to get any therapeutic use. So, I started looking into oils a little more and realized the quality of the oils I was using was really low. They were basically perfume grade. So, I started looking for better oils. Being initially turned off by Young Living’s dated marketing, I turned to DoTerra. 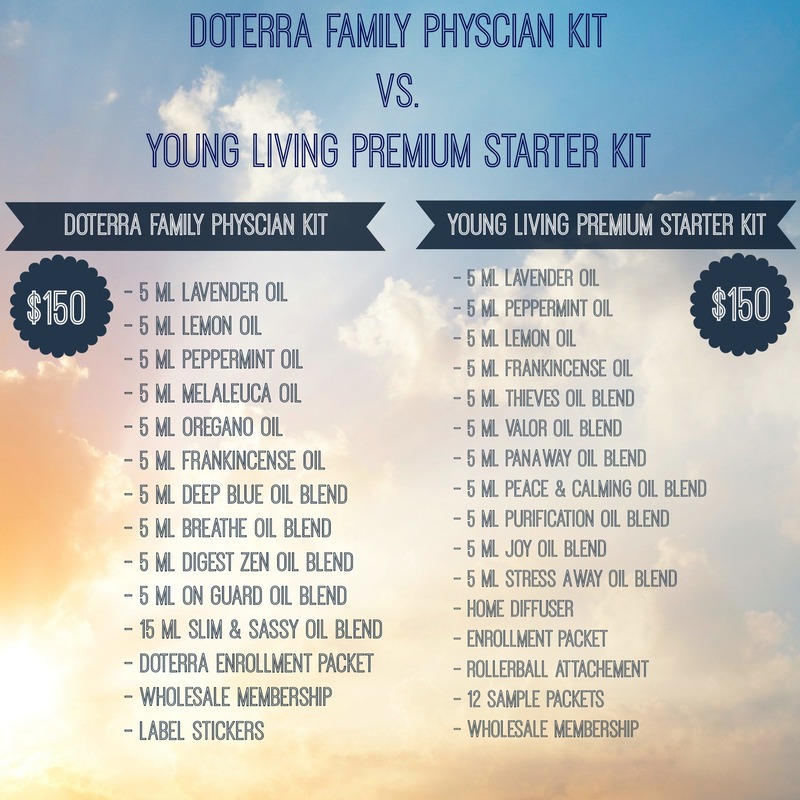 I bought their Family Physician Kit for $150 which included 11 oils. These oils were significantly better than the previous health store oils I had been purchasing. But I still was not feeling that the oils were the best. I thought they were good, a huge leap better than the perfume grade, but I still didn’t feel that I could really count on them fully when it came to therapeutic results. A friend invited me to an oil class she was hosting, which I found out would be Young Living. I thought I would check them out, and if nothing else, buy a bottle of Orange Oil to support my friend. I was so surprised by the quality of Young Living oils. I was also intrigued by the way the oils were presented vs. the way they were presented by the DoTerra rep. (And this isn’t a company standard or anything, just a rep vs. rep which says very little about the company.) But the Young Living oils were presented in a Christ centered way. The oils were made from plants, given by God for our healing. Applying the oil with prayer was something that hadn’t even crossed my mind until the Young Living rep suggested it. (At that point, I had not tried the oils, so I was simply determined to use their advice with my DoTerra oils.) After smelling the Young Living oils, I decided to buy their Premium Starter Kit. For the same $150, I got 11 oils, plus a diffuser, plus samples, plus a roller bottle top. I decided to do a side by side comparison since I’d have both oils. My initial plan was to buy the oils from the cheaper of the two companies. As far as marketing, DoTerra wins that hands down. Their look is better. Although, since DoTerra is essentially an off shoot, and they’ll not like that I called them that, but whatever, of Young Living, the colors, catalogues, and reference books are ridiculously similar. The bottles are clearly different, but the rest of it looks like an updated Young Living. It is even comical how closely the wording in the reference books were. (And both companies have reference books specific to their products that never mention the company’s name and try to look third party which is annoying.) The DoTerra website is prettier and easier to use. Young Living Customer Service has proven to be far more helpful than DoTerra’s customer service. Young Living goes above and beyond to make things right. DoTerra is efficient and gets the problem handled, but has never seemed to try to exceed my expectations. The oils themselves- on my personal smell and usage comparison, Young Living is far better than DoTerra. This is purely anecdotal and not scientific at all. But when I put a Young Living oil on, I know I am going to get the desired effect. Not so for DoTerra. The DoTerra peppermint oil smells like candy canes. Young Living peppermint oil is strong, knock-your-socks-off peppermint. The DoTerra lemon oil smells like lemon drop candy. Young Living lemon oil smells like concentrated lemon peel. For DoTerra, 3-4 drops of peppermint in your water made it refreshing. Young Living, seriously only try a single drop! I found I could use less Young Living oil for better results. A smell test at my house with my friends, and most said of the oils that were different, they preferred Young Living. They agreed the Young Living smell, feel, and act stronger, or more concentrated. So, when it was all boiled down, did I want flash or a consistently great product. I chose to take the lame labels, quirky website, greater variety, and greater quality offered by Young Living and fully switch. (Which you’ll recall was not my initial plan or my second plan.) I now buy only Young Living oils and recommend them highly to my friends. My friends that are happy with DoTerra, I think that is great. If you find yourself in need of one of the many oils DoTerra doesn’t offer, I’m here. If you’re using health food store oil, you’ll be amazed by either company. I just personally chose Young Living for my family. I can trust the oil to do what I need it to do. Shameless plug: If you don’t have a Young Living rep, consider using my link and my number is 1650325 and supporting my family. If you have a Young Living or DoTerra rep, go buy from them. (Please know that I have the ability to sell DoTerra, as well, I simply choose to buy and sell Young Living based on my personal use and interaction with each company.) If you have any questions about my experience with either company, feel free to ask.